INsReady builds World-Class international eCommerce solutions for our clients, using Drupal Commerce. Drupal Commerce makes no hard-coded assumptions about how businesses want to run their eCommerce sites. You can display and promote products and services any way you want and readily take advantage of customized shopping cart layouts, checkout processes, and order processing workflows. How you do eCommerce should be up to you, not your software. 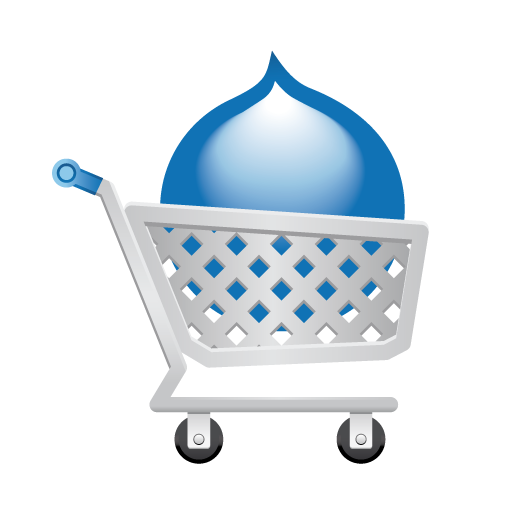 Adaptable: Drupal Commerce can adapt with your business as it grows or explores new models. Since most of your site is built by configuring modules and interfaces, the business logic and layout of your site are ready to change right along with you. Built for Growth: Drupal Commerce will scale right along with your business. Drupal powers heavily trafficked sites, such as Examiner.com and WhiteHouse.gov, with the same strategies used to accommodate that traffic already supporting eCommerce sites processing tens of thousands of transactions a day. Built on Drupal 7: Drupal Commerce is built from the ground up for Drupal 7, which significantly improves flexibility, scalability, and overall performance. Migrating to Drupal Commerce and Drupal 7 is often more cost-effective than trying to implement the features you need using other commerce system. Community Driven: From the start, Drupal Commerce has been a community effort, and its continued growth is thanks to the hard work of dozens of direct contributors from all over the world. Rub shoulders with these Drupal Commerce experts at Drupal events cropping up almost every week. Connects Socially: Easily integrate your Drupal Commerce site with major social networks like Facebook, Twitter, Pinterest and others. Your customers can login and share their purchases with their friends or even promote your products across their networks so you can be where your customers are. Continuously Innovating: "The drop is always moving" is the adage that keeps Drupal continuously innovating, and Drupal Commerce is no different. Each new version of core and contributed modules opens the door for wide-ranging changes in architecture and the UI to keep the project current and competitive. Design Freedom: You have complete control over how your store looks through Drupal's theme layer. Start with any number of freely available or premium themes and tweak the CSS and HTML until it twinkles in your designer's eye. Truly Flexible: Drupal Commerce makes no hard-coded assumptions about your product display needs or business model. You can literally build your site to meet your needs using Drupal's core interfaces to manage your data objects, page and block layouts, and business logic. Full-featured: The core systems offer a complete product administration system, shopping cart, and checkout form. It supports multilingual and multi-currency out of the box, with additional eCommerce features and usability enhancements provided by contributed modules. World-Class International: Drupal Commerce provides notable core improvements over most other commerce system in its support for sites with complex pricing needs and international sales requirements such as currency conversion, tax calculation and display, and country-specific address forms. Integrated: The Drupal Commerce extension list is full of third-party integrations for payment gateways, fulfillment services, accounting applications, social networks, and much more. The API has been built to be extended and to support the import and export of your eCommerce data. Mobile Ready: The future is mobile, and Drupal plans to shine on the small screen. Designing responsive eCommerce sites is a breeze with several base themes leading the way, and accessing Drupal data through web services has never been easier thanks to the powerful Services module. Open Source: Unlike other eCommerce projects, Drupal Commerce not just open source in name only. Licensed under the GPL with no fees to access any of its features, the software is community focused and free for use by merchants all over the world.